In a former life, I worked for some very large organisations. Firstly, BT where I delivered large scale global technology transformation changes; and then at Sky, where I was responsible for the digital delivery and making its web presence much more customer focussed. So, how does a TV package ‘salesman’ end up in London’s 2019 Borough of Culture, Waltham Forest? Well, believe it or not there is a strong connection between the principles of selling TV packages and addressing some of our community’s most pressing local issues. In my previous roles, we applied digital marketing techniques to encourage customers to channel shift, to ‘self serve’. And, once online, provided a personalised, seamless journey that resulted in greater revenue for the organisation. Why should we not take those same principles and make our citizen experience as good as it can be, using eCommerce and emerging technologies to deliver good service at a local level, but also to generate revenue for the authority? In the Council today, I want people to serve themselves online and have an amazing experience when they do. Citizens calling the call centre with straightforward requests could, most of the time, help themselves if they are given the mechanism to do so. I want to encourage our community into an online channel, because once they are there, we can start to add additional benefits and service offerings to that visit. The eCommerce team built the London Borough of Culture 2019 website and digital marketing channels; they designed and built the online presence to support the launch of Europe’s largest wetlands regeneration project, Walthamstow Wetlands. The next project is looking at the creation of a wedding site, marketing the Council’s buildings as possible wedding venues. We are using digital marketing to market that to our residents – AdWords, SEO, social media to market our sites and service offerings and it is going incredibly well. It is giving real people real jobs and we are starting to hire to keep up with the demand. In such a short space of time we have built an e-Commerce business and I am very proud of that. We are starting to apply commercial ways of working and looking at our residents as our customers and why shouldn’t we? We have an obligation to be as good as we can be as an authority; to know our residents, what they like and what they don’t like. Before I joined Waltham Forest, I ordered a brown bin online from my local council (not Waltham Forest!). It didn’t show up, so I called the call centre. A couple of days later two bins turned up. This is wrong on so many levels – it’s frustrating for the resident, it’s inefficient for the Council and costly. Digital transformation is not just about a fancy front end – you have to think about full end to end integration. Far too many council services lack true integration with the back office and far too many fail to realise the real benefits of true digital transformation. Interestingly, although we have built some great commercial websites and have focussed on ensuring our customers’ online journeys are as good as they can be, we are questioning whether a website is really where our customers actually want to engage with us. When someone goes to a website, they have to make the effort to go to the website. We could have created an app, but that would be expensive and require individuals to download the app. So, we asked ourselves, how can we get the social media channels our residents use every day – such as Facebook and Twitter – to work for us? So, when we looked at the potential of chatbot technology to reduce the number of minor enquiries handled by our front of house team, using the tech to improve certain council services, such as our website, was not necessarily front of our mind. We know that most of our website hits came from people on their smartphones and we know that today’s generation would much rather spend time on social media channels than a council website. So, we needed to be where they were. We used chatbot technology across Facebook and Twitter initially – to kick-start automated, intelligent conversations with our residents on apps that they regularly use on their smartphone. For example, if a resident spots fly-tipping they can tweet @WFTellWalt which opens a direct message session with our bot. Residents can take a picture of the problem, it can be pin-pointed on a map and send further information. We also created a new, much improved online form – which had just 4-5 questions [down from 20 questions initially] so it is so simple to complete. We actually looked at several specific user cases – fly tipping was just one, but also dirty front gardens; dog fouling, fly posting – the stuff that really impacts residents’ daily lives. What is really clever, is the workflow that is triggered in the back end. The front end service is fully integrated with our own service providers’ system so that notifications are sent directly to our contractors tablet devices in real time. Jobs are allocated by type and location, for example. When a contractor arrives at the job, they can tick a box which automatically sends a tweet – or an email if the issue was reported online or a Facebook Message if the issue was reported via that platform – to inform the resident the issue has been dealt with. We also created an interactive map where residents can see where people have reported issues, and how the council responded. This is a real commitment to being open with our residents and engaging with them. 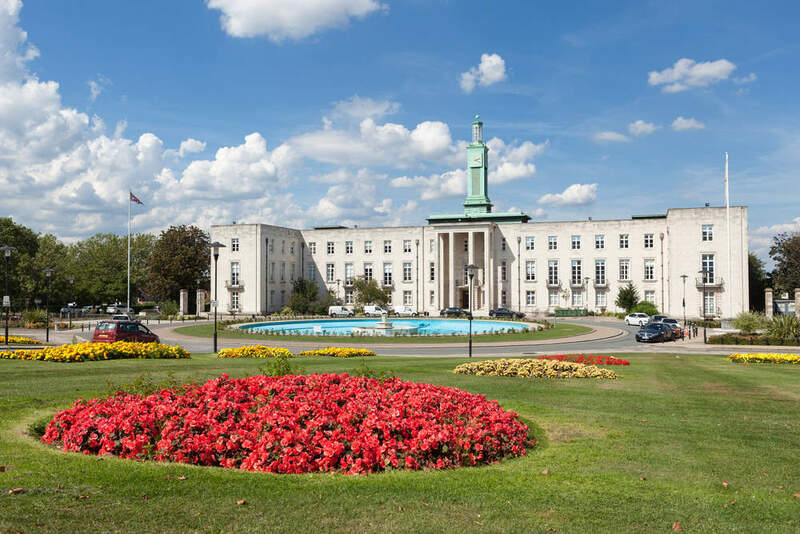 There is a strong community feeling in Waltham Forest, and many people are keen to contribute to their neighbourhood and to feel involved in its development. This ability to see exactly what is happening in their area and gives a sense of empowerment. The interaction is really high. The service has only been fully live since May and in that time we have had several thousand incidents reported to us and 80% of these have been reported to us digitally. But beyond that, the data we are getting directly from our residents is helping us and our contractors plan services based on need. It is far more transparent, it is providing real data to enable services to be run more efficiently and cost effectively and this is the real transformational part. We are already looking at where else we can exploit the same approach elsewhere across the authority. Ultimately, authorities need a much more holistic view of transformation. Where our previous model was to get forms online, so people can transact online, we now focus on what the right channel is to interact with citizens and how to effectively integrate that communication with back office systems. That is the big change and that is truly transformational. Where do we go from here? What sort of progress can we expect? Following on from the simplification of these processes, we are aiming for even better integration of our digital front end and back office functions. We must also work on providing even more comprehensive data to back-end teams, and the people who run these services, so that they can run them more effectively. We want them to be able to intervene quicker, to make the process quicker and ultimately lower the costs whilst empowering citizens and improving services. To do this we will not only introduce new tech, but also work with existing legacy suppliers to improve the value we get from them and ensure their systems are open and can integrate with other services. To make this happen we need to collaborate across the public sector, share our learning and use our collective market power. This is why we strongly support the Local Digital Declaration. In the end, we are implementing good commercial practice, driving value from the optimum use of public money and using it to transform public services.